Headaches are not fun to deal with. They can put a damper in our days, disrupt our work, and even prevent us from getting a good night’s sleep. There are many factors at play when getting a headache. From our diet to our exercise (or lack thereof) to improper contact or glasses prescriptions, there are quite a few reasons why we get headaches in the first place. But no one is nearly as worried about how headaches happen than they are with how to get rid of headaches. In today’s blog post, we’re going to be sharing headache prevention tips. From making sure our sleep patterns are not disrupted to prioritizing our eyecare, there are many ways to make sure we are rarely plagued by headaches. 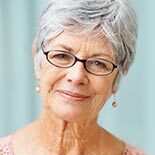 Continue reading to learn how to actively nip headaches in the bud, and don’t hesitate to contact Visions Optique And Eyecare to schedule your preventative eye appointment today. We’ve heard this before, and we’ll continue hearing it. Drinking water and staying hydrated is one of the most important ways to avoid headaches. It’s no secret that dehydration can is the culprit of nasty headaches, so be sure to keep a bottle of water with you at all times to sip on throughout the day. Your brain will thank you! Just like dehydration can cause headaches, inconsistent sleep can as well. If you’re not getting a full night’s rest, you may be prone to exhaustion headaches more. Be sure to get seven to eight hours to sleep a night to ensure that your brain gets the rest it needs. If you’re having trouble sleeping, you might have to take a look at the environment you’re in to see what is keeping you from getting thorough shuteye. Try not to look at your laptop or phone about an hour before your head hits the pillow, as the bright light can stimulate your eyes and prevent your brain from resting. Rather, pick up a book and spend some time reading before you tuck yourself in. The better the sleep, the less you’ll experience pesky headaches. Both high stress levels and a lack of exercise can be a reason for headaches. If you’re dealing with stress at home or at work, you could benefit from finding a good way to manage it. One effective way of managing stress is exercising. Regular exercise will not only reduce the stress and anxiety you may be feeling, but you will also notice that your headaches are less frequent. Oftentimes, an incorrect prescription can lead to headaches. In order to prevent uncomfortable, blurry vision, and in turn headaches, seeing an optician regularly for quality eyecare can ensure everything is running smoothly. 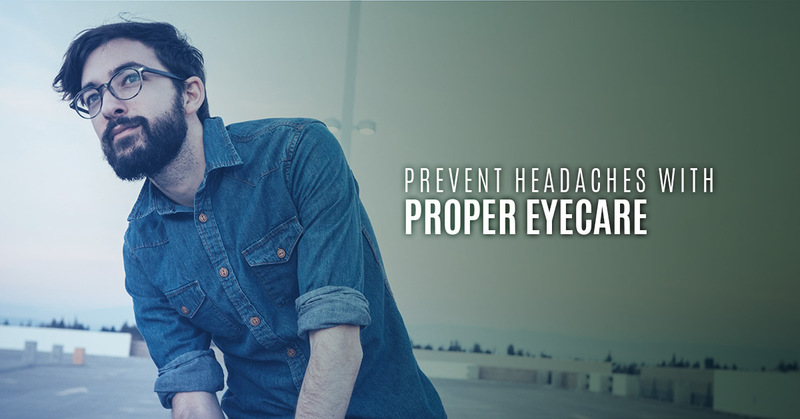 Whether you’re dealing with headaches or not, making eyecare a priority will benefit your health in its entirety. 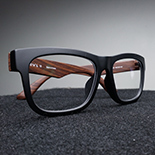 If you live in the Scottsdale area and are looking for an optical center, look no further than Visions Optique and Eyecare. Schedule an eye appointment with us today.